TheMacMommy: Check Out Them Apples! 25 years. Wow. I can't believe it's been that long. 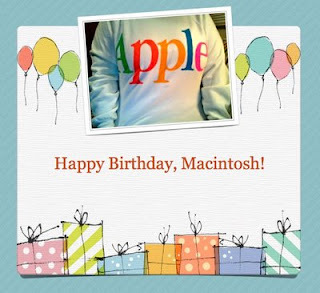 The Macintosh was released in 1984 and I was in the fourth grade. Later on in high school, I attended a Vocational Technical school where I studied Commercial Art. 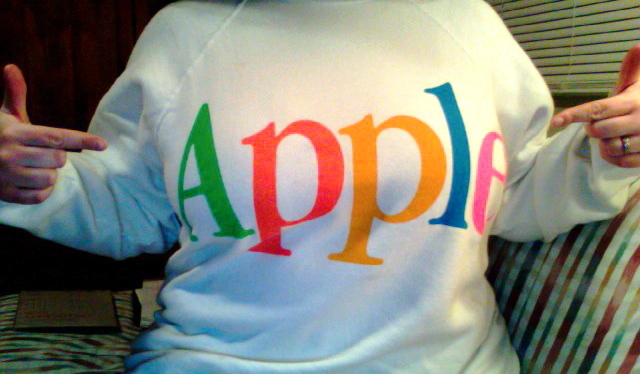 I'll never forget getting Macs and all the fun (and naughty) things we designed with them. The technology was so new in our school that we were literally teaching our instructor how to use it! Aldus Pagemaker was the design and layout application of choice. System 7 was the operating system and After Dark was loaded on the computers as the screen saver application. We used to love watching the flying toasters and the lawnmower man! As the course progressed, I fell behind on the projects I was supposed to have been working on and I was very worried I would fail the class and not be able to graduate. I pleaded with my teacher, asking if there was something I could do to bring my grades up. He looked at me over the top of his glasses and told me that he had considered failing me. My heart began to sink. 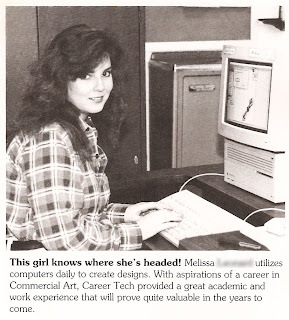 Then he said the reason he'd like to fail me (but couldn't) was just so he could keep me around for another year to teach him how to use the Macintosh! It's just amazing thinking about how far Apple and the Macintosh has come in twenty five years. I'm happy to have been a Mac user for the majority of this time period and even happier to be using Macs for the years ahead. I really believe the best is yet to come. A couple of days ago I hung out with the guys from MyMac Magazine to reminisce about Macs for the 25th anniversary of the Macintosh. Check out the podcast and you can hear Tim read some of my comments from the chat room. It's always a good time geeking out with those guys! We talked about classic pranks and troubleshooting. Talking about extensions gave me a twitch and I vaguely miss making cheat sheets for Zaph Dingbats. They're running a contest, so you might want to check it out soon! I take Made on a Mac to heart. I met my husband on a Mac. I'm raising my child on a Mac. I make a living using a Mac. I manage my life on a Mac. What do you do with your Mac?